People say that Nigeria's herbal medicine has been in existence before our ancestors knew the white man's medicine. But their coming you see, saw the doom of the medicine of our people, for one they didn't understand our processes and frankly we thought theirs was better too. The resurgence of the herbal medicine industry in Nigeria today, was notably as a result of the many shortcomings of conventional medicine. Amongst which was the relative expensive nature of drugs compared to their herbal counterparts, this was as a result of the rising cost of importing drugs from the west. The dwindling economic fortunes and fall in Naira only fanned the cost and its burden as it drove Nigerians in search of an alternative source of healthcare. It wont be the whole truth to suggest that its the affordability of herbal remedy that was the main driver of the herbal resurgence; right from the colonial era, western medicine has been the norm and the talk of herbal medicine was unheard of amongst the Nigerian educated. The spate of fake drugs and findings that revalidated the merits of a herbal remedy in my opinion drove Nigerians (even the non pagan educated ones ) back to their herbs. The time was 2008 and NAFDAC's war against fake (conventional drugs ) was high, the lot of Nigerians were scared of using even a paracetamol. Sickness was inevitable so they simply sort an alternative. The renewed interest in traditional medicine and research that supported its use spurred many others to adopt herbal medicine. However, this resurgence was only felt in the urban cities where there was access to othordox medicine. The case was different in many rural areas in Nigeria where herbal medicine was not an alternative, Infact WHO estimates that about 80% of the African population used traditional medicine to meet their primary health needs. The perception of herbs was the sort shown in Nollywood where they are only used to witch individuals. But the Nigerian herbal industry has been silently undergoing some key changes that seek to challenge the problems associated with the industry. Take the issue of illiteracy of herbal practitioners for example, over the years there has been a remarkable improvement in herbal healthcare practitioner's level of education and such the delivery and packaging of their services and products has changed with their advancement in knowledge. Government having recognized the potentials of the herbal sector has set up some institutions including the National and state traditional medicine boards, the Federal college of complementary and alternative medicine but their impacts has been little over nothing. The proposed National Traditional health policy is still in the process and with little government willpower the bill is set to suffer more years of legislative slow match. At par with many such nations like China, Nigeria is light years away from herbal institution. Any astute observer will note the rapid changes occurring in the Nigerian herbal space, many nations are already where we should be but hey for Nigeria to fully partake in the potentials of the herbal industry she must be ready to look wholely at this development and take meaningful steps towards making herbs the potential oil well of Nigeria. The master key to dominating a trade or a field is to study those who have become successful and great in the business and then imitate their style creatively. When you want to start a business, it really can be overwhelming to start thinking up a strategy that you hope will work and make you succeed in the business. 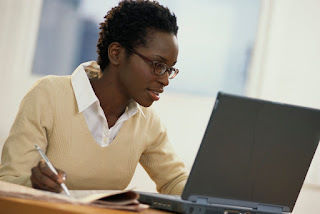 Truth is research is very key to starting a business. You must investigate the market, find out how things are done; learn the secret of the trade so as to participate to win.But in a situation where you lack the means or resources to carry out extensive or required market or consumer research, all you need do is to adopt or adapt the strategy of a leader in that market. 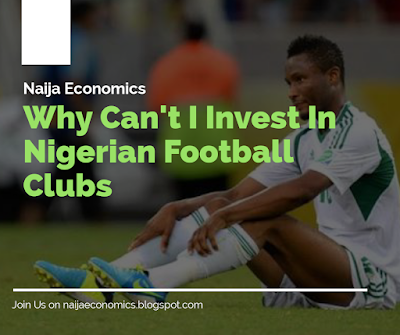 Am not a billionaire, at least not yet but i want to invest in my favourite football club in Nigeria. Nigeria like many other African nations can be proudly tagged a football loving nation. If more than 80% of your youths discuss and follow football trends on a daily basis i think the title fits. A few months ago i read 'Business model generation' and ever since i have been amazed at how much one can understand a business by using a business model canvas. I have been drafting models of popular businesses to be better at generating business models for my business and other businesses. 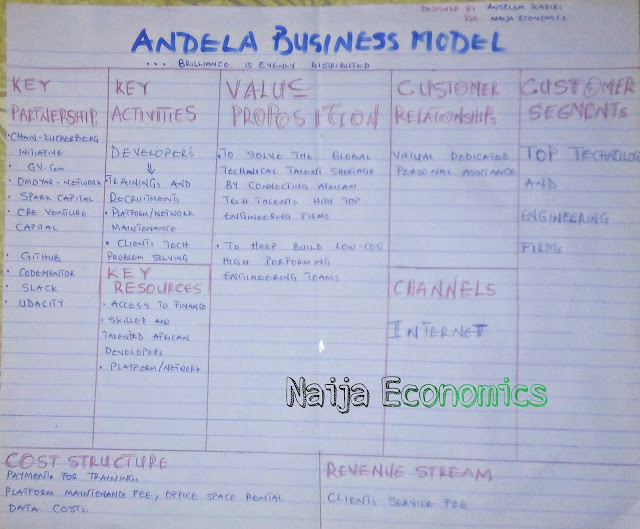 Surfing the internet i discovered the lack of Nigerian business model examples. So today and over my next posts i will be sharing drafts of business models of any Nigerian business that interests me ( that's especially if they are innovative). 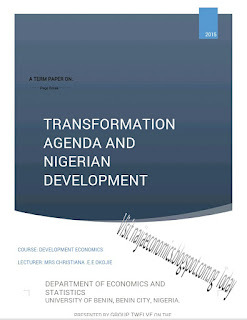 I was reading on "Public Policy" a few days back and i thought i should share with us some of what i learnt, especially as there is the lingering case of public policy ineffectiveness in many developing countries of the world today. So lets understand what public policy is.